A well organised work space is often the key to a successful day. 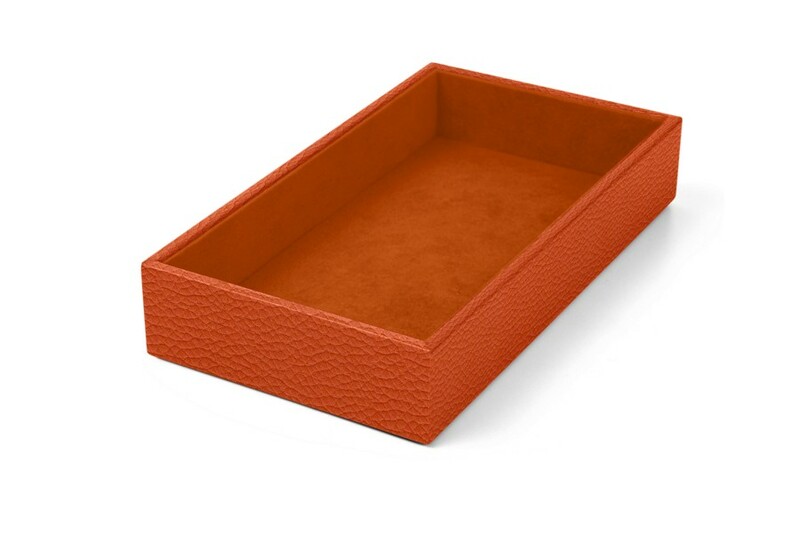 Among our collection of leather storage boxes, we propose this beautiful box with perfect dimensions that would help the setting up of a neat and professional environment. You can keep in your small office accessories, smartphone, business cards or even turn it into a tidy tray, to clean up all the mess that has been lying on your desk for months. 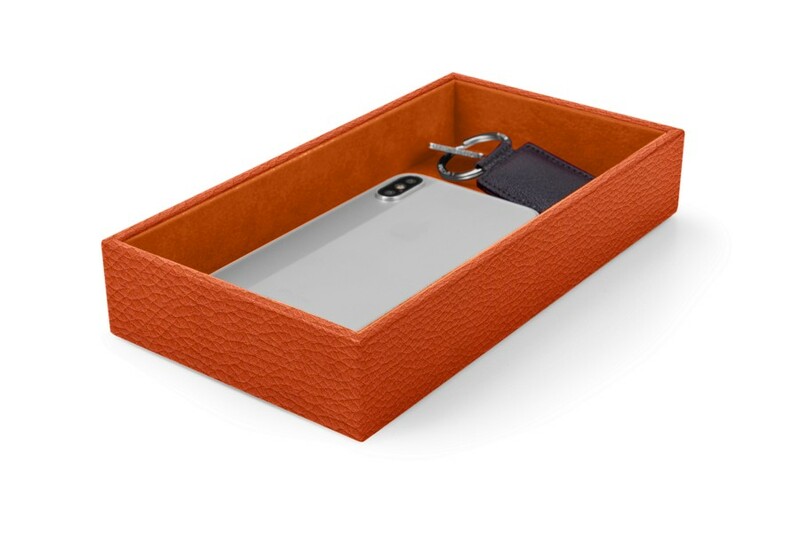 This decorative storage box is basically a solid wooden structure covered in leather, and can be customised in a sublime choice of leathers and colours that would match or contrast your office décor. 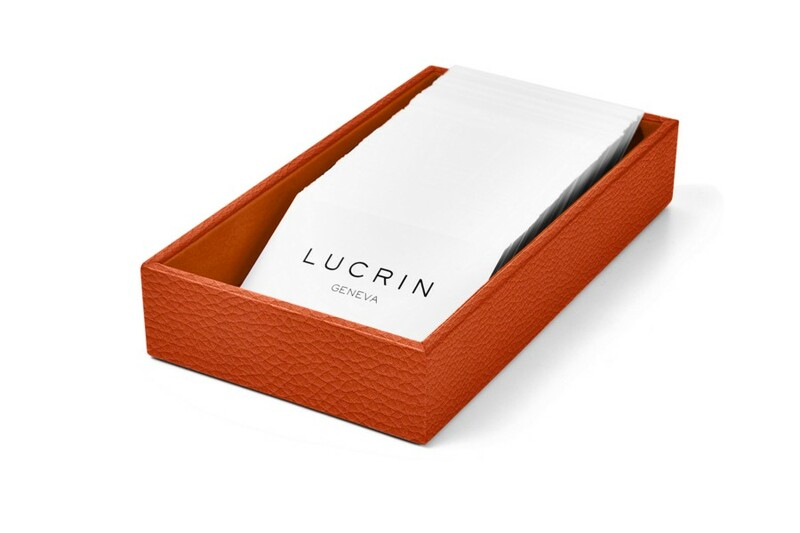 May contain up to 400 business cards of maximum length 9.5 cm.